This 35.75mm. 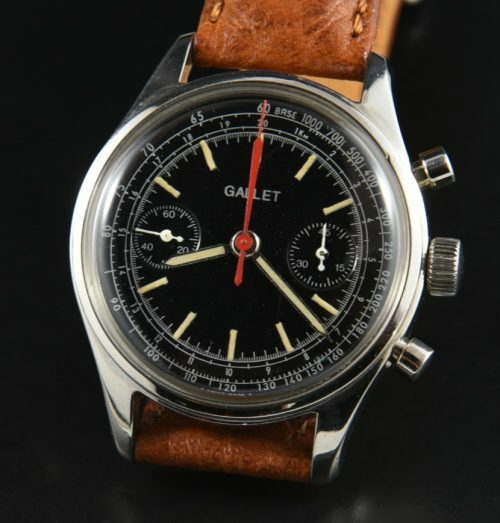 Gallet Chronograph is solid stainless steel with a screw back and round pushers. The deep black dial was so finely restored- it’s truly hard to tell. The handset is original. 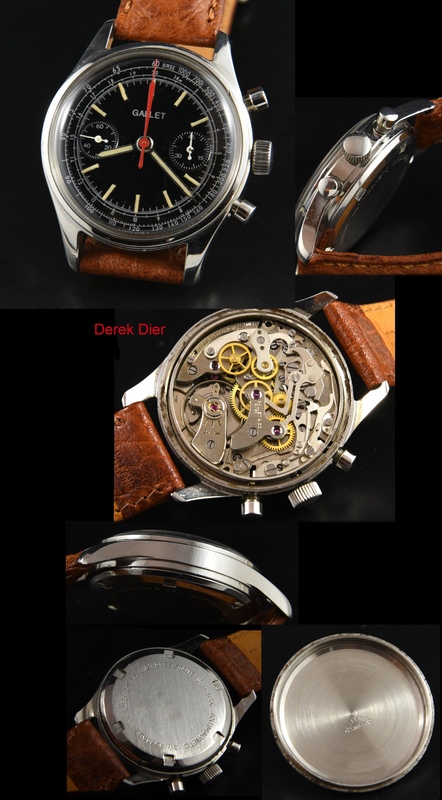 The manual winding chronograph movement was just cleaned, accurate and the chronograph running smoothly. This is a very striking watch on the wrist.